NASA is setting its sights on a large, metal asteroid orbiting the sun between Mars and Jupiter. 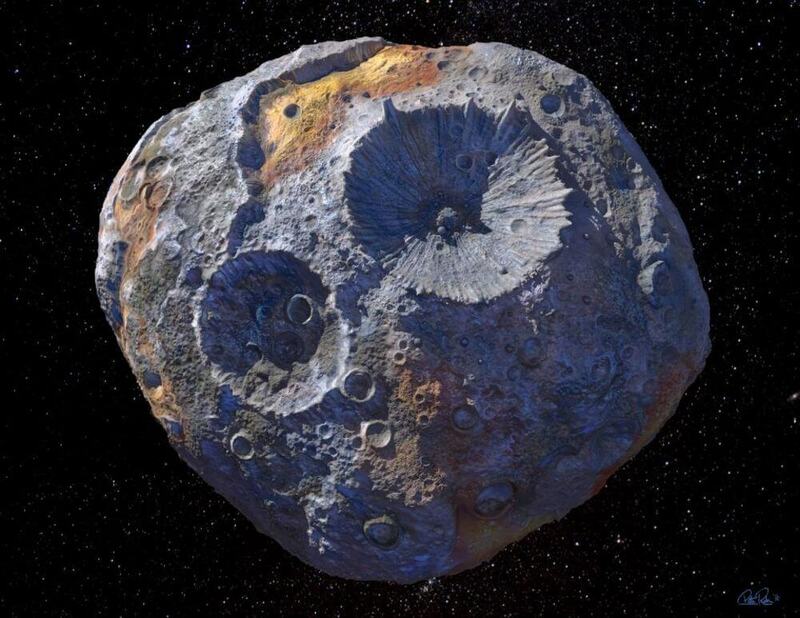 The U.S. space agency and researchers at Arizona State University’s School of Earth and Space Exploration want to get a closer look at the space rock, named Psyche, because they believe it’s made of valuable metals, such as nickel, iron, and gold. The asteroid measures 124 miles in diameter and the iron on it alone is worth $10,000 quadrillion, NASA said in a statement. That compares to the value of the world economy, which is estimated at almost $74 trillion. But, even if scientists wanted to harness the asteroid and haul it back to Earth, they don’t yet have the technical capability to do it. So, NASA and ASU researchers are launching a robotic spacecraft in 2023 to make observations of Psyche. The craft is scheduled to arrive at the asteroid in 2030 where it will spend 20 months studying the rock and mapping it. The rock will give scientists a glimpse of a planetary core for the first time. “This mission, visiting the asteroid Psyche, will be the first time humans will ever be able to see a planetary core,” said lead scientist Lindy Elkins-Tanton. The $450 million mission is part of NASA’s Discovery Program.